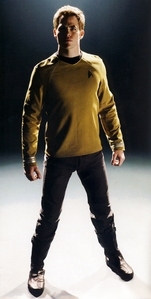 star, sterne Trek (2009) It's hard being James T. Kirk! Which Kirk do Du like better? Did Du think Chris Pine made a good young Kirk? Do Du like the idea of Kirk and Uhura as a couple? Die Fanauswahl: No way! That's just weird! They work together, that's all! Which picture of Kirk do Du like the best? a poll Wurde hinzugefügt: Which picture of Kirk do Du like the best?